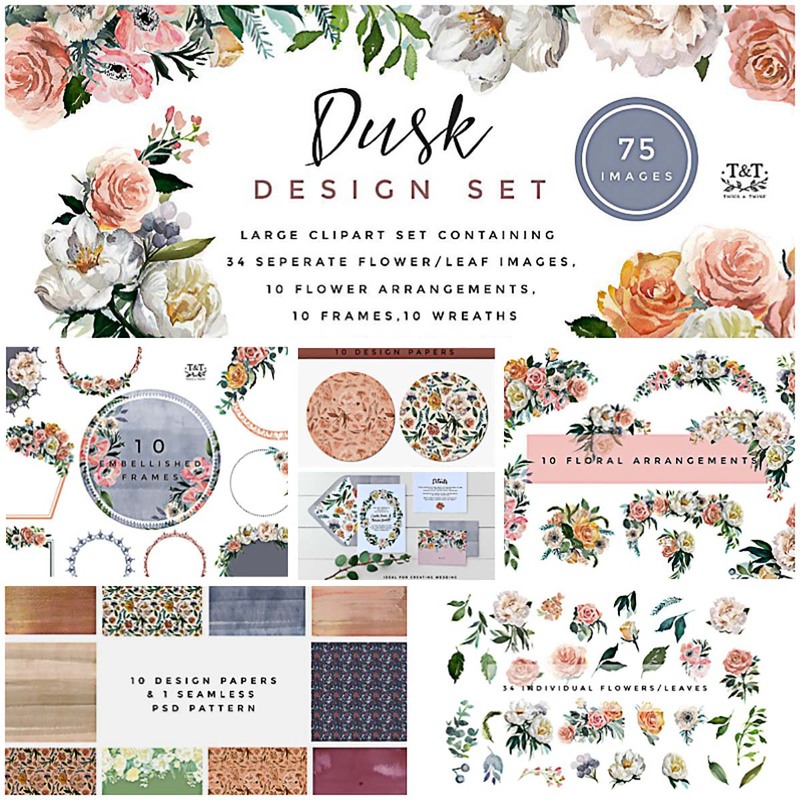 Containing beautiful roses and dramatic white peonies, this will add a delicate and pretty statement to any project. You can use the separate elements to create your own arrangements, or use the 41 co-ordinating design pieces for a quick and easy design. 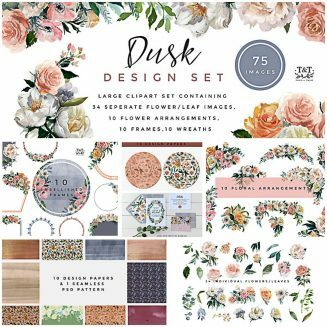 Tags: cute, dusk, floral illustration, floral logo, floral pattern, flower, Peony, watercolor clipart, wreath.